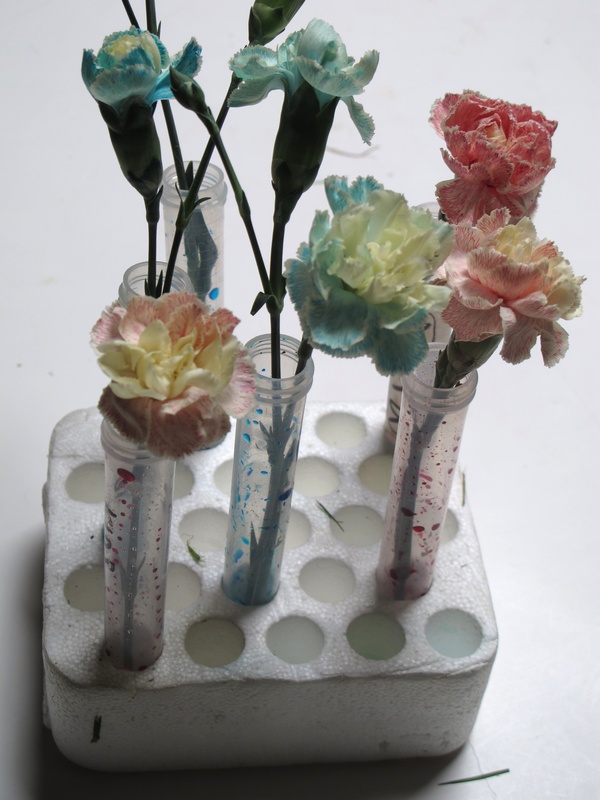 Leave a white flower in food dye to colour the vessels up the stem to the petals. (Or just use a petal.) 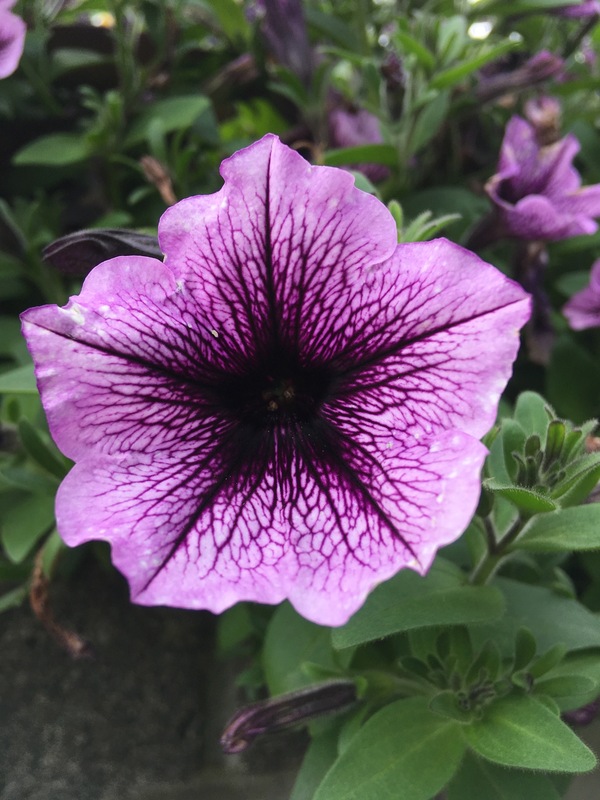 The dye traces out the xylem vessels in the stem and branching vessels in the petals of the flower. Cut the stem of a white carnation (or other white flower). 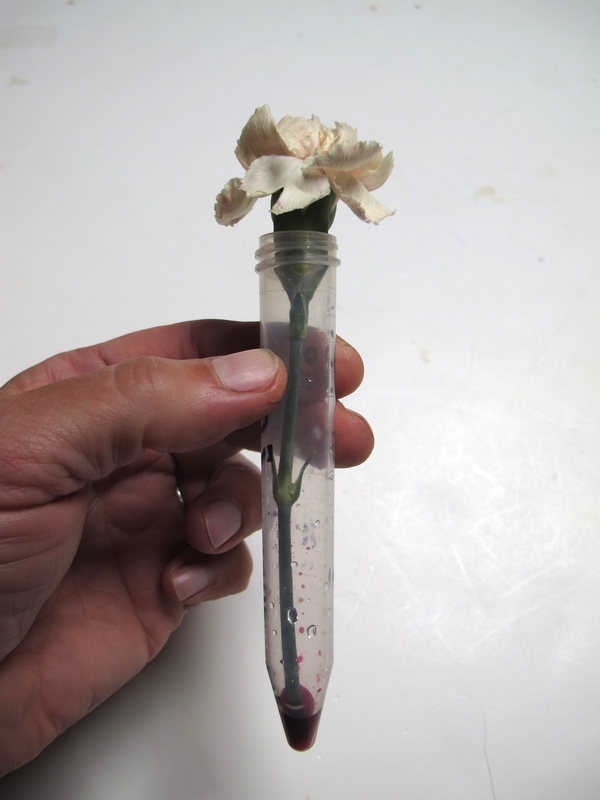 Stand the flower in a tube of food colouring for an hour or more (test to check). Watch for the petals turning the colour of the food dye. Cut the stem after colouring (to remove mess). Cut the pointed end off a white petal. Stick the petal on a piece of tape, with the cut side hanging over the edge. Make sure the petal is lying flat on the tape. Fold the paper lengthwise and bridge across two thin books, so there is a small gap underneath the strip of paper. Arrange so that the fold of paper is the low point. Stick the petal to the white paper, so that it hangs off the bottom of the fold of the paper, with its cut side just touching the table. Put a piece of wax paper on the table, in front of the petal, then drip a drop of food color onto the wax paper. Slide the wax paper under the petal, so that its cut tip dips into the food color. Watch for several minutes to see the food color creeping up into the petal. It traces out the vessels in the petal, which carry food molecules to all parts of the petal. The vessels extend down the stem of a flower, allowing transport of water and nutrients throughout the plant. 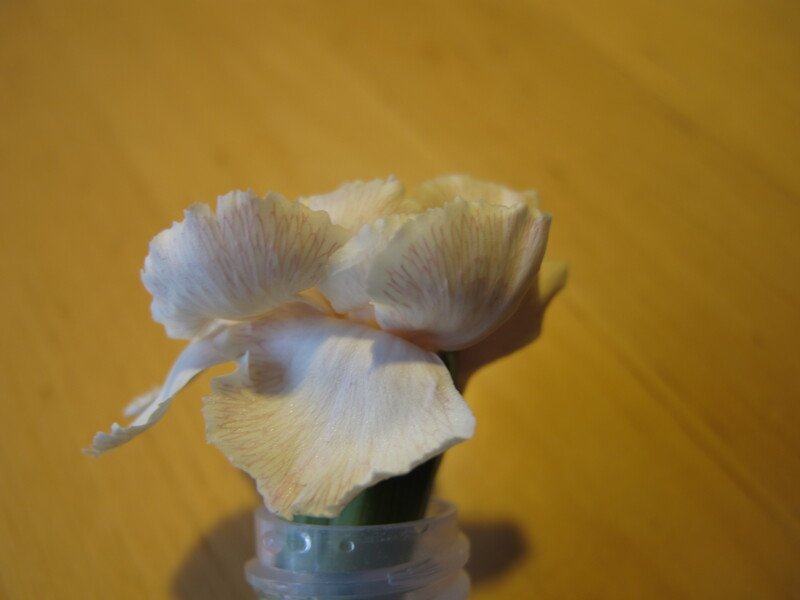 Unfold the paper and put another piece of tape over the rest of the petal, to stop the food color from making a mess. Make a worksheet that has a box to put the petal in, instructions on how to face the petal, and other material. Whole plant K-4 at AMNH, Gordon Science Club and NY city afterschool. Just petal all ages at NH Hall of Science.